As Alzheimer’s progresses, the person with dementia may forget how to brush his or her teeth or forget why it’s important. As a caregiver, you may have to assist or take a more hand-on-approach. Proper oral care is necessary to prevent eating difficulties, digestive problems and infections. In the early stages of Alzheimer’s, dental care focuses on prevention. Getting check-ups and cleaning and flossing teeth regularly can prevent the need for extensive procedures later on, when the person with dementia may be less able to tolerate them. Use a “watch me” technique. Hold a toothbrush and show the person how to brush his or her teeth. Or, put your hand over the person’s hand, gently guiding the brush. If the person seems agitated or uncooperative, postpone brushing until later in the day. Keep the teeth and mouth clean. Brush the person’s teeth at least twice a day, with the last brushing after the evening meal and any nighttime liquid medication. Allow plenty of time and find a comfortable position if you must do the brushing yourself. Gently place the toothbrush in the person’s mouth at a 45 degree angle so you massage gum tissue as you clean the teeth. If the person wears dentures, rinse them with plain water after meals and brush them daily to remove food particles. Each night, remove them and soak in a cleanser or mouthwash. Then, use a soft toothbrush or moistened gauze pad to clean the gums, tongue and other soft mouth tissues. Try different types of toothbrushes. You may find that a soft bristled children’s toothbrush works better than a hand bristled adult’s brush. Or that a long handled or angled brush is easier to use than a standard toothbrush. Experiment until you find the best choice. Be aware that electric dental appliances may confuse a person with Alzheimer’s. Floss regularly. Most dentists recommend flossing daily. If using floss is distressing to the person with Alzheimer’s, try using a “proxabrush” to clean between teeth instead. Be aware of potential mouth pain. Investigate any signs of mouth discomfort during mealtime. Refusing to eat or strained facial expressions while eating my indicate mouth pain or dentures that don’t fit properly. Find the right dentist. Contact your local dental society to find the names of professionals who have experience working with people with dementia or with elderly patients. Coordinate care. Provide the dentist with a list of all health care providers who are caring for the person with dementia, as well as a list of all medications. Certain medications can contribute to dry mouth and other oral health issues. 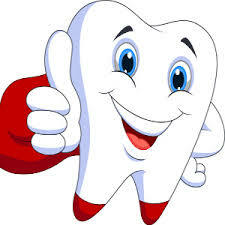 Keep up with regular dental visits for as long as possible. This will help prevent tooth decay, gum problems, pain and infection. Community Home Care is a full service home care agency. We provide home health aides, homemakers, companions, overnight care, case management, caregiver respite, transportation and more. Community Home Care is currently looking for full and part-time experienced, responsible, compassionate, and trustworthy caregivers. Take a minute to review and apply on our careers page. Contact Us today for a complimentary in-home assessment.